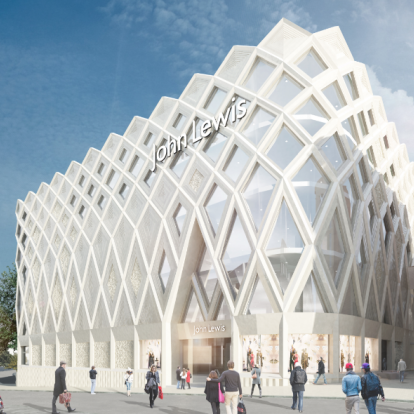 John Lewis Leeds – A 250,000 square foot flagship anchor store for the Victoria Gate retail and leisure development. 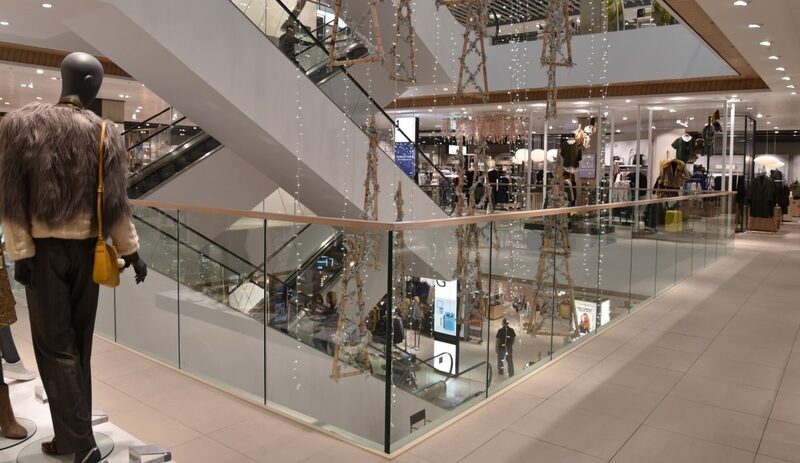 The John Lewis Leeds store needed to establish a balustrade benchmark for other future stores. 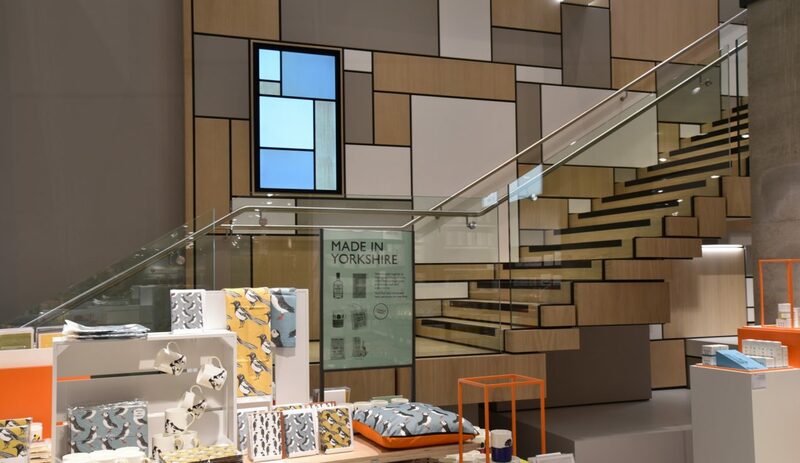 The balustrade needed to be consistent with the John Lewis brand represented in stores across the UK. There was a very tight programme to follow so that the store could open on the 20th October 2016. 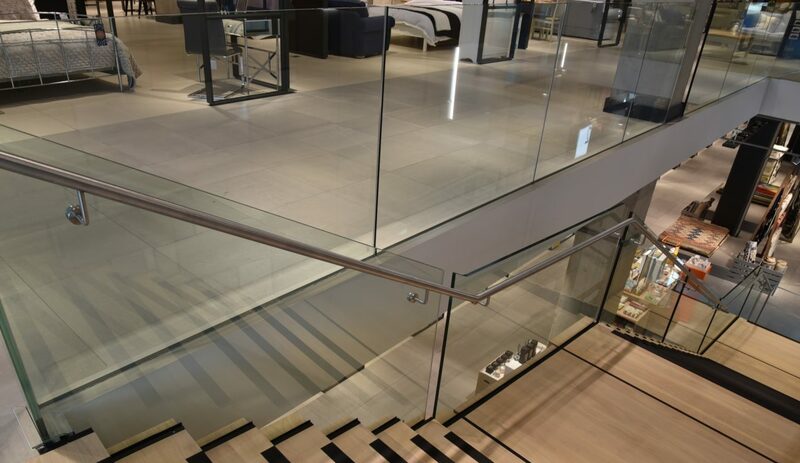 In the main void areas, the balustrade had to be offset from slab edge to maintain walkway widths. 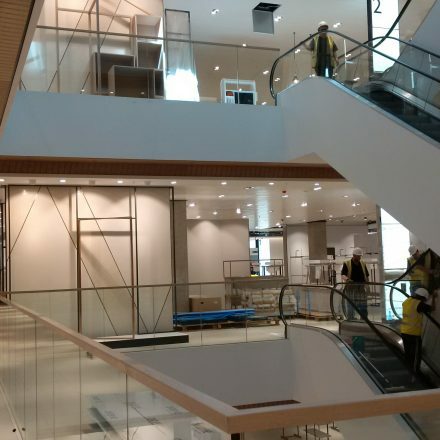 With 4 store levels, access to the balustrade on the voids would be a challenge. The feature stair, which is a central design element of the building, would require significant design coordination with the stair contractor to ensure the balustrade would suit. 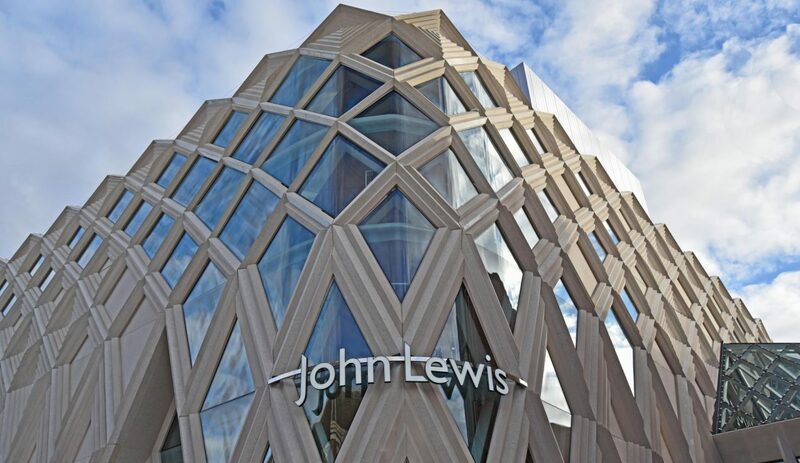 BA Systems were appointed by Mace to provide their design-led solutions to this flagship John Lewis Leeds store. 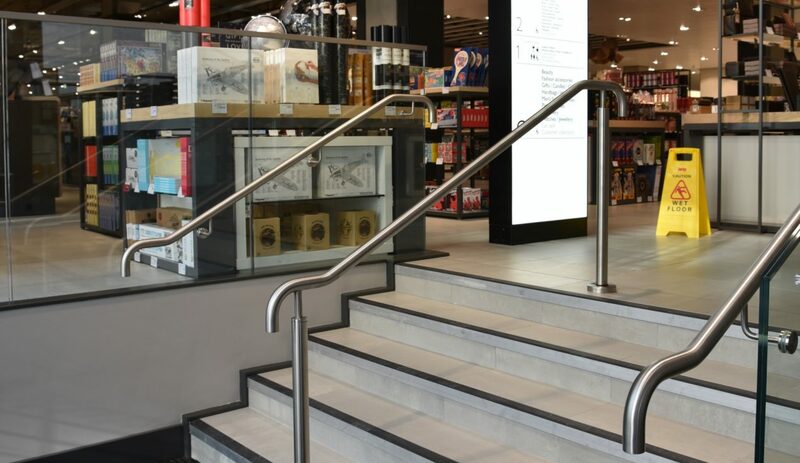 The central escalator voids, were designed to provide scale to the store, meaning that our B40 balustrade system would enhance the natural light to all levels of the store. 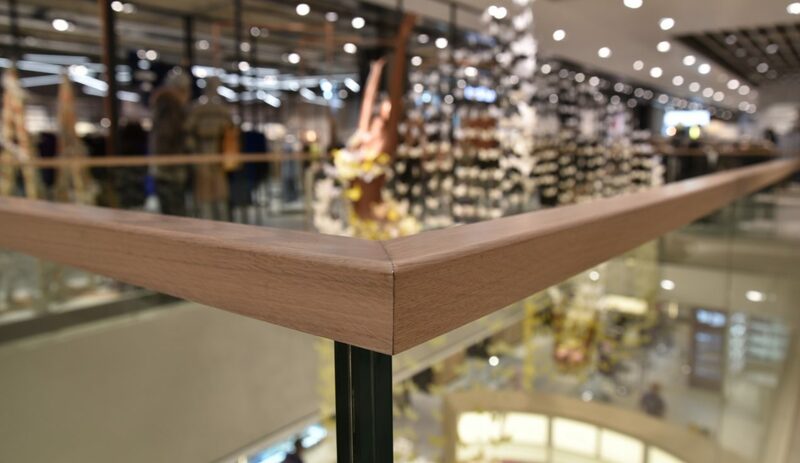 A specialist wooden handrail profile was chosen for the balustrade to complement the store design. 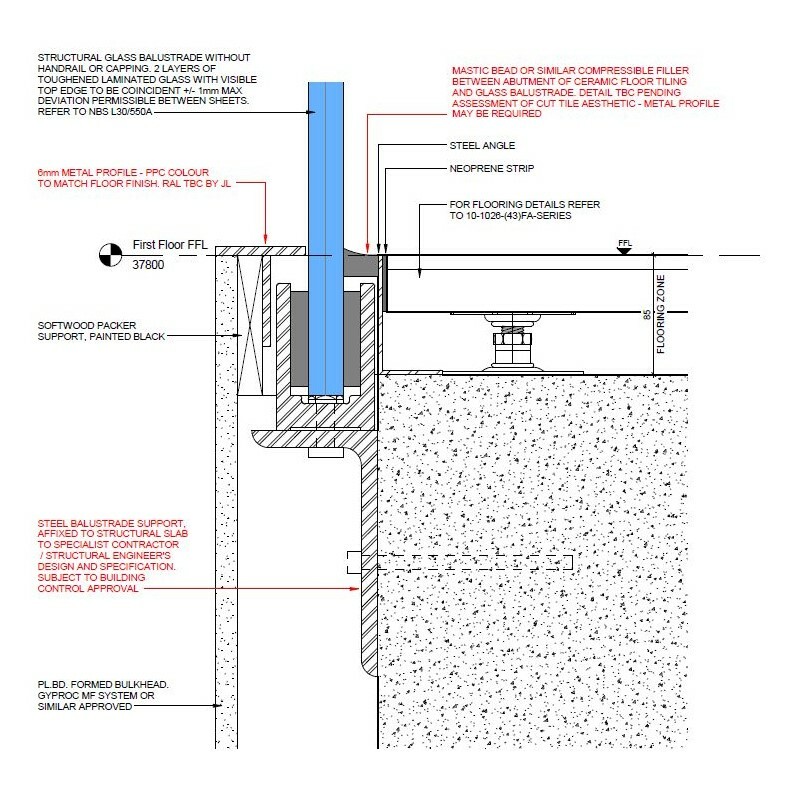 The BA Systems’ design team initially identified potential balustrade deflection problems with the architectural proposal (Fig. 1). This detail was then developed (Fig. 2) to include for a steel fin that would minimise the horizontal deflection. 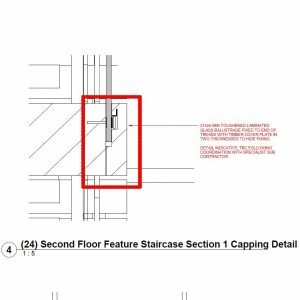 A full set of structural calculations were provided to ensure that the balustrade, with the revised fixing detail, would exceed the relevent building regulations. 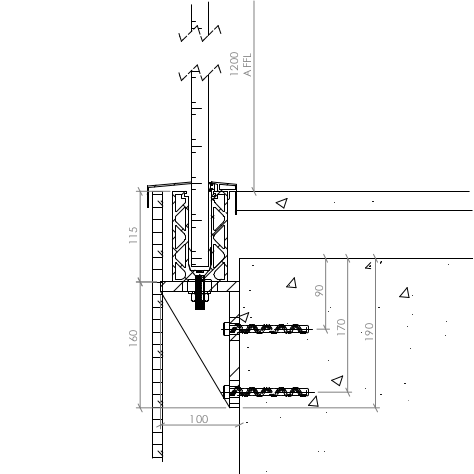 Installation could then be carried out from the central scaffold to fix the steel brackets and aluminium channel to the outside of the concrete slab. Fig. 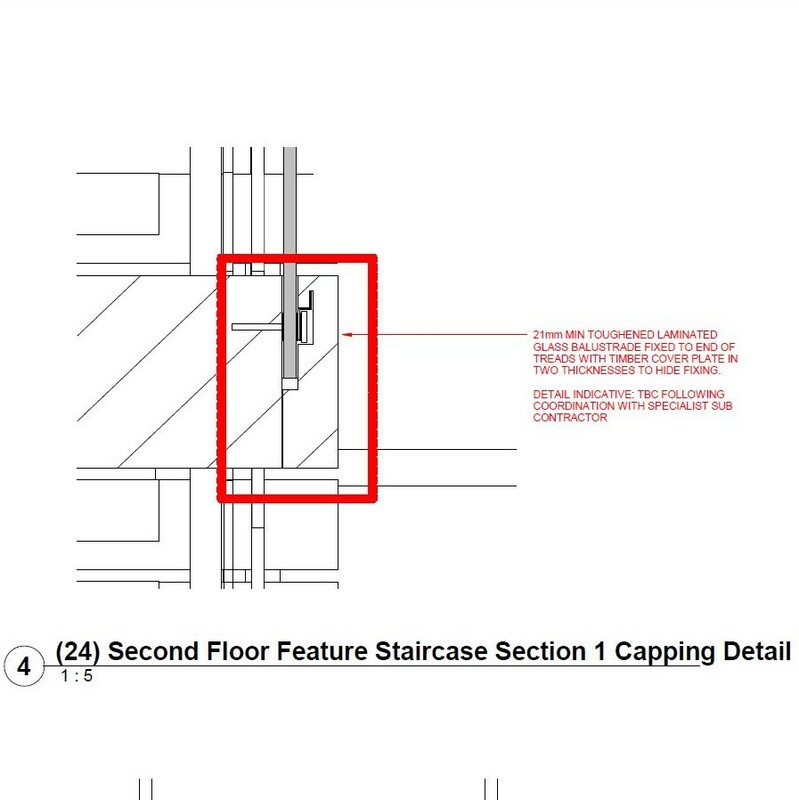 1 – The original architect proposal for the atrium balustrade fixing detail. 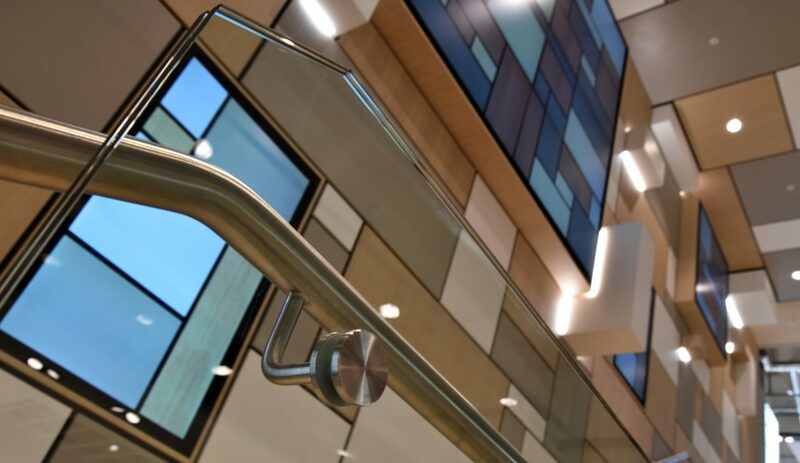 The B40 Balustrade system with an accompanying B10 Handrail was also chosen for the feature stair balustrade, 4th floor restaurant stair, and Eastgate entrance stair. 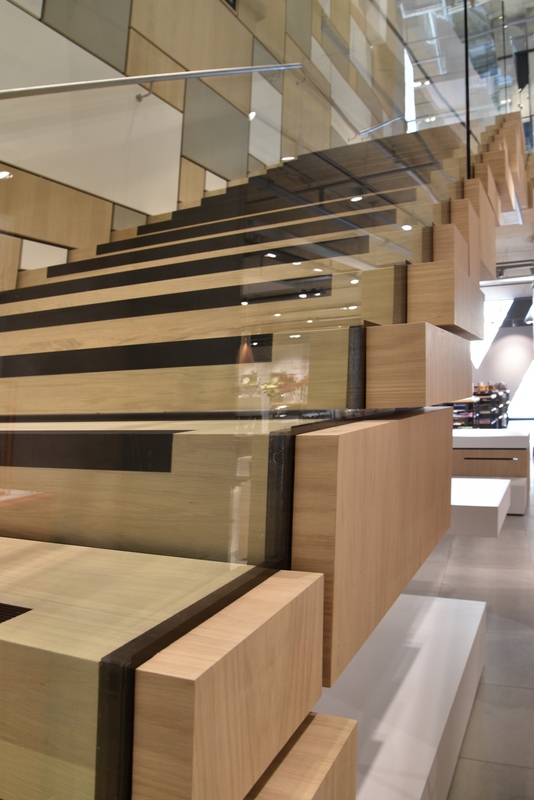 The feature stair required significant coordination with the stair manufacturer on the tread detail. BA Systems proposed a 12mm steel fixing plate (Fig. 4) to clamp the glass to the tread. The stair contractor could then embed the fixing bolts into the timber tread ends to give a seamless appearance to the stair (Fig. 5) without compromising the structural integrity of the balustrade. Fig. 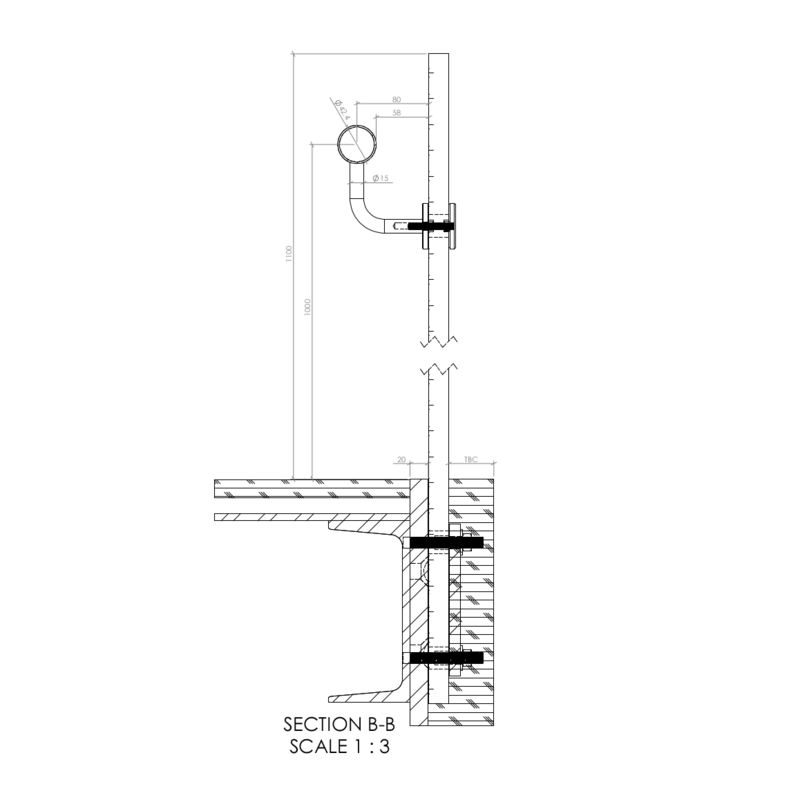 3 – The architectural proposal for the feature stair detail. for the feature stair detail. Fig. 5 – The coordination between the balustrade and the stair contractor on the stair treads. 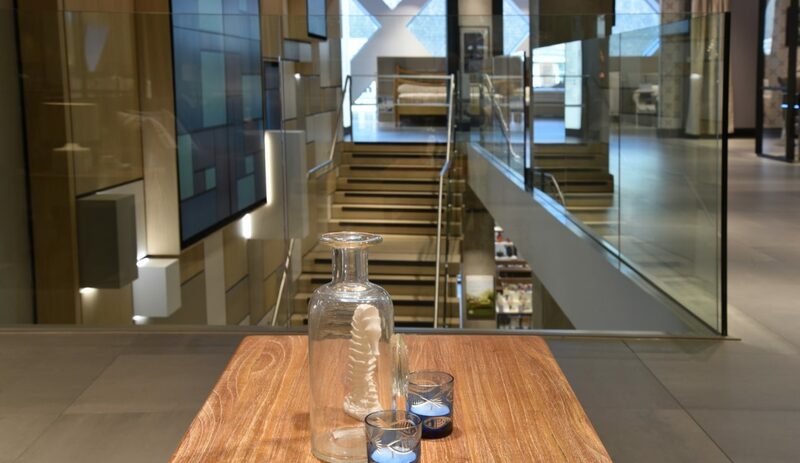 With a final opening date of the 20th October 2016, take a look at the videos below of the John Lewis team putting the final touches to this impressive store. A quick initial start on site and a swift installation ensured that BA Systems played their part in delivering the project on time. Following proactive, early-stage design development, BA Systems successfully completed their first project with Mace Group. 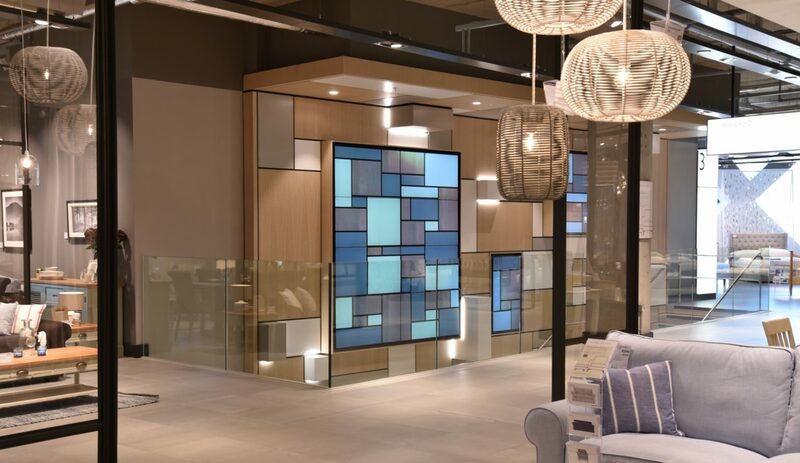 BA Systems provided a proactive and flexible design service with excellent on-time delivery and installation of quality products.